During the Kenyan elections of 2017, opposition allegations that the polls were rigged often focussed on one man: Ezra Chiloba. Here, Mark Kapchanga interviews the CEO about his role in the controversy. Six months after Kenya went to the polls that saw its results later nullified by the Supreme Court, the Independent and Boundaries Commission (IEBC) Chief Executive Officer Ezra Chiloba maintains that that was the most credible election in Kenya’s history. 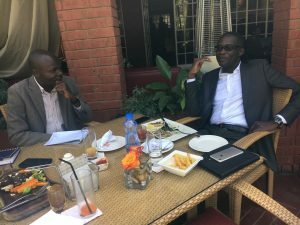 In an exclusive interview, Mr Chiloba asserts that he has never lost sleep as a result of the alleged controversies that clouded the hot political contest. “I did the right thing. Maybe only regret I have is that the Supreme Court nullified what we had done right,” says the CEO who turned 40 in January 12. This unrepentant tone is likely to anger opposition supporters, after National Super Alliance (NASA) leaders accused him of malpractice, and the Chair of the electoral commission Wafula Chebukati leaked documents to the media that suggested he held Chiloba responsible for many of the technical difficulties that ultimately undermined public confidence in the polls. But despite the fact that the election in August suffered from a number of problems, including the fact that thousands of scanned images were not made available before the final result was announced, and the failure of the IEBC to provide the full access to its servers requested by the Supreme Court, Chiloba is in bullish mood. Against criticism of the Kenya Integrated Election Management System (KIEMS) introduced for this election, Chiloba argues that the electoral body employed one of the best elections management technology that has not been used even in most developed economies in the world in its bid to ensure the the polls were as free, fair, credible and transparent as possible. Yet, Chiloba argues that all over the world, election management bodies deploy various new technologies. He observes that the IEBC’s move to use Biometric Voter Registration System, for instance, was underpinned by the Kenya’s Election Act 2011, which allows the electoral commission “to use such technology as it considers appropriate in the electoral process”. “I am alive to the fact that the technological innovation meant that public expectations would be huge. We were also cognisant of the fact that technology comes with its limitations. As a matter of fact, the new electoral technology did not only eliminate double registration but also accelerated the transmission of results,” says Chiloba, a trained lawyer from the University of Nairobi. The CEO says he was convinced the IEBC would use the technology effectively, observing that working for the United Nations gave him a lot of comparative perspectives. Perhaps that explains why Ghana, South Africa and Nigeria have already approached the IEBC to draw some lessons from the technology Kenya used in the 2017 elections. “Even those who criticised the technology would silently appreciate the fact that it did its work to the desired standards. Technology is never a problem; it is mistrust that is a big issue in this country. So serious is the issue that it has become the currency for political negotiations. Honestly, it is time as a country we killed the archaic negotiations of ethnicity,” he says. To get out of this cocoon, Chiloba says Kenyans must revisit the design of their political institutions: Is the electoral system enabling? 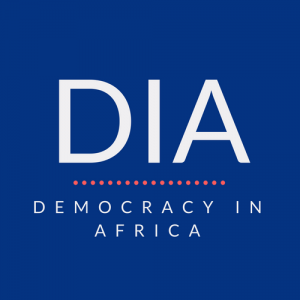 Is devolution serving the interests of the public? Is the parliamentary design supportive of a more inclusive and accountable society? But with increased pressure emanating from his peers, augmented by his experience in electoral reforms, Chiloba says he gave it a try; and made it as the IEBC’s youngest CEO—at 37. Chiloba says while there have been innumerable claims against him and the IEBC – and the fact that he was forced to take temporary leave from his position around the “repeat” election that was held on October 26 in a last ditch attempt to improve public confidence in the process – he has no time to respond to them. “I am a professional. I believe in giving my best in my job; I will never fight back but ensure that we better our work everyday.” This attitude is unlikely to go down well with his critics, however, who have argued that he played a key role in manipulating the process and that he has questions to answer. He says IEBC is currently in an appraisal of last year’s elections, which may go up to July. It is from the post-mortem that the electoral body will fill any gaps that might have emerged from the past polls. However, while Chliloba is keen to put a positive spin on the experience, one of the main challenges that the IEBC faces is public trust, and it is unclear whether this can be rebuilt with him at the helm – whether he is innocent or not.